The Indian Constitution allows all sentenced criminals a chance to get their sentence further looked at by a higher court, if they feel they have been unfairly sentenced for a crime they may not have committed or feel they have been too harshly treated by a lower court. If such an appeal is upheld by a higher court, then the court has the power to revise the sentence that was awarded to the criminal. 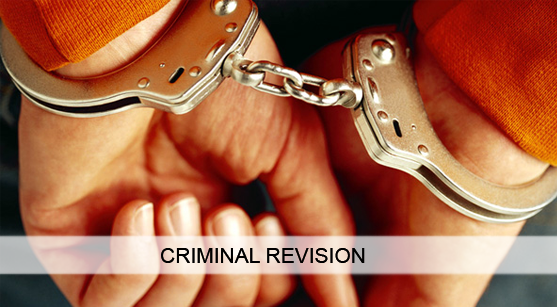 In simple terms, criminal revision refers to the revised court sentence given to a criminal for a crime that he has committed. In cases, where a crime was not committed, the defendant may be pardoned with all due honour. There are many cases in which a criminal has not been defended by a good advocate and the other advocate takes undue advantage of this and asks for maximum sentences and very heavy fines and compensations to be paid by the defendant. The law is in place to ensure everyone gets justice for the crime they have committed, in the quantity they deserve, not too little or too harsh. So, a criminal can exercise his right and through his advocate appeal to a higher court to get his sentence or punishment revised. The higher court has the right to investigate the circumstances of the case and change the decision if required. Criminal revision needs a lot of research and dedication to be put in place by a advocate because they are trying to prove in a higher court that a decision made by a qualified judge in a lower court, within the rules of the Constitution of India, was incorrect and need to be changed. Advocates in Chandigarh understands the importance and seriousness of these types of cases and has, therefore, built a great team to handle them with utmost care and dedication. There have been several cases where an appeal has been successfully lodged in a higher court and criminal revision has been carried out to ensure our clients get fair treatment by the Indian courts.